iOS operating system (iOS 12/11/10/9/8/7) are developing various iOS system issues like when your iPhone is stuck on the White Apple logo, blue or black screen of death, on DFU or Recovery modes, iPhone freezes or not responsive, iPhone won’t turn on or slide to unlock and many other iOS system issues. As developers continue to come up with new and innovative ways on how to use phones, the phone operating systems cause iOS system issues every day. This has made Apple come up with different ways of tackling how to repair iPhone operating system free issues on your iPhone. In this article, we focus on a few of these methods that are quick and effective in solving this issue. Part 1: Is There A Truly Free Way To Repair iPhone Operating System? Provided your iPhone is still under the 1-year Apple warranty, consumer law or AppleCare plan from date of purchase, Apple will offer repair iPhone operating system free at any of their Apple stores. This excludes accidental damage, unauthorized service, modifications, or disassembly. However, if the warranty has expired, your best option will be to try some of the software available in the market that has free trial versions to see if it can fix iOS operating system problems. Before you take your iPhone to be repaired either to an Apple store or using software, you need to know what is required before repair iPhone operating system free entails. Make sure that your iPhone is compatible with the iOS firmware that you want to use on the repairs. Check to see if the iOS firmware has the latest version that is suited for your iPhone. This is important because if it has no updated version it will not work on your iPhone. Make sure your iPhone has enough space to accommodate the new app. If you do not have enough space you will receive a storage space error. You may need to delete some of your data or apps to make space. You can also save photos, videos or apps you rarely use that have a large storage space on your PC or iCloud. It is always a good idea to back up your iPhone on iCloud, iTunes or PC before you do any updates on your device just in case you lose data in the process. It is better to be safe. In case you are not sure whether you have backed up your iPhone, it is good to check. The steps below will help you do that. Step 1: Open iTunes and click on iPhone icon in the upper left corner. Step 2: Click on the Summary and scroll to the Backup section. Step 3: Click on Backup now. Step 4: Verify the backup by opening iTunes, go to Preferences then click on the Device’s tab. It is important to make sure your iPhone is backed up to iTunes or iCloud before repair iPhone operating system free. You can also use iMyFone iTransor if you need to quickly back up some of your data. iMyFone iTransor is an iOS data backup and restore software that you can use as an alternative to iTunes to back up your contacts, SMS, Whatsapp or WeChat and it will backup and restore from your iTunes, iCloud or iMyFone backups without losing data on the target phone. You will also be able to view and export 18 and more types of data from your iOS device, iTunes or iCloud backups. When it comes to repair iPhone operating system free there are many tools you can use but you have to make sure the one you choose will not lose the data on your iPhone in the process. iMyFone D-Back is the best choice for this job. Launch D-Back on your PC, click Fix iOS system on the main window. Using a USB cable connect your device to the program then choose the Standard mode from the three modes displayed. 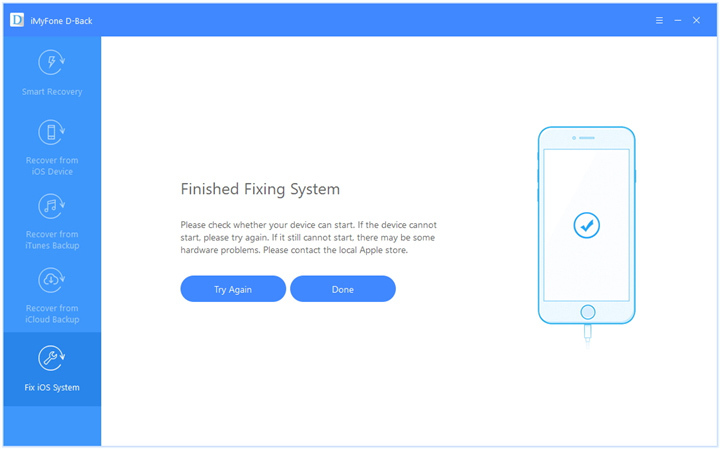 The program will prompt you to put your device on DFU or Recovery modes to start fixing the problem. Step 1: Click Start to begin the program. To put your device on DFU mode press and hold the Sleep/Wake and Home buttons at the same time for 8-10 seconds. Release the Sleep/wake button and continue to hold the Home button for another 5 seconds. If the device does not enter DFU mode put it in Recovery mode. Press and hold the Sleep/Wake and Home buttons at the same time for 8-10 seconds. Do not release when the Apple logo appears, continue holding until you see Connect to iTunes icon. 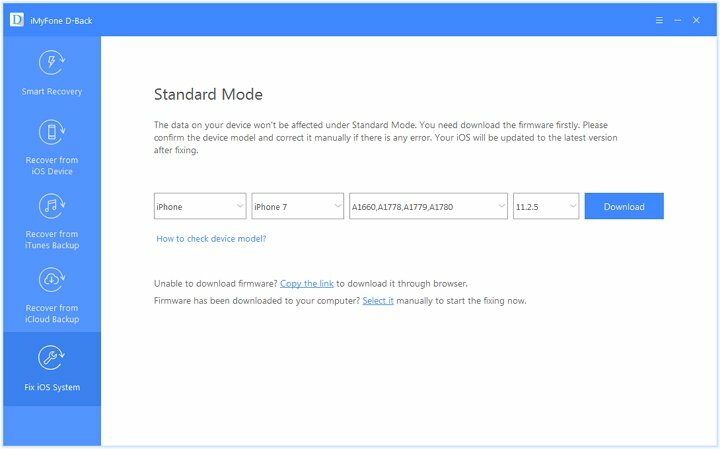 Step 2: Once in DFU or Recovery mode, download the new firmware for your device. D-Back will detect your device automatically to let you download the latest iOS version suitable to your device. Then click Download. If the program does not detect your device you can choose it manually then download the firmware. Step 3: Once the firmware is downloaded, click Start to fix for the program to automatically start fixing your iOS issues. Once the fixing process is complete, check to see if your device will start, if not retry the process or use the Advanced mode to fix it. 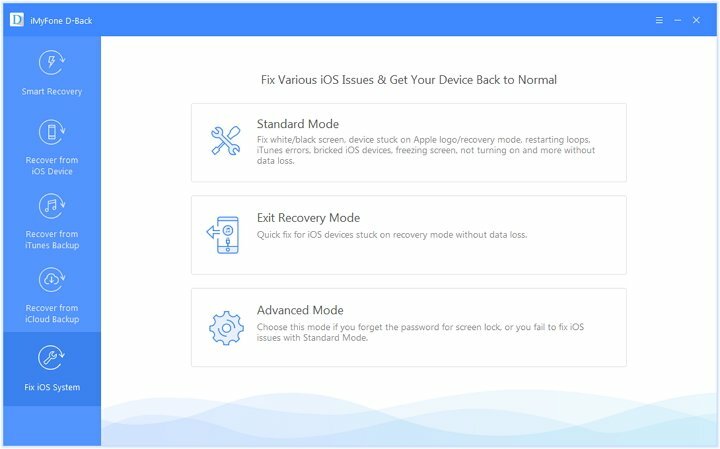 The Standard mode of recovery is an effective program that you can use to fix the iOS issues on your iPhone without losing any data, but the Advanced mode in the process of fixing your iOS issues will erase all your iPhone data. 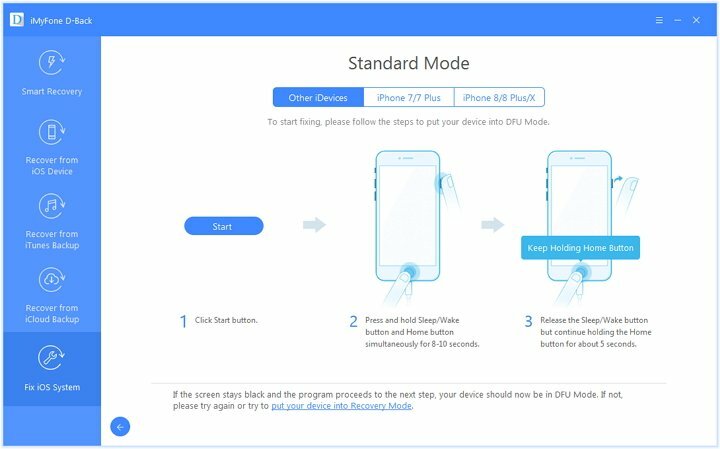 If after using the Standard mode and your iPhone will not start even after retrying again, it means that your iPhone may have hardware problems which iMyFone D-Back cannot repair iPhone operating system free. You will need to visit an Apple store near you to get your iPhone fixed. The above information on how to repair iPhone operating system free are some of the easy ways you can use to solve this issue even if you are not tech savvy. 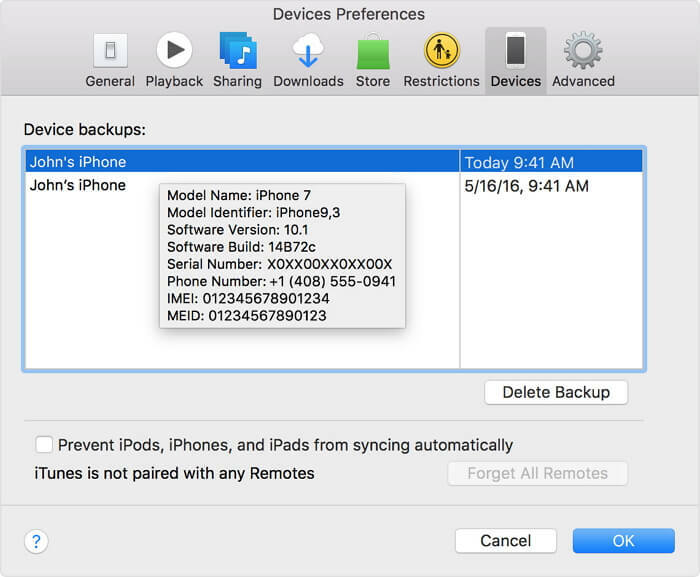 One thing to remember before you make any system repairs on your iPhone is to make sure you have backed up your data either on iTunes or iCloud. If this information has been helpful please feel free to leave your comments below.